A qualified physician recruiter can make a job search easier, less costly, and improve your chances of landing a new position. The main benefits of working with a physician recruiter are the increased access, resources, and time that are devoted to securing you interviews and hopefully placement. What is your experience in your specialty? How long have you been placing candidates in my industry? How many successful placements have you made in the last year? What makes you a better recruitment firm than your competitors? Depending on their answers, you should be able to quickly understand if the physician recruiter and their company are the right fit for you. One of the first tasks most physician recruiters will ask of you is to fill out or answer a series of questions. These questions are crucial for the physician recruiter to provide personalized placement options that fit your needs and personality. The more honest and detailed your answers are, the better. Be sure your CV is up to date and accurate, as your potential employer will check your work history, education and certifications. To increase your chances of a successful placement, it’s important to not work with as many physician recruiters as possible. Being too available sends signals to potential employers that you may be too desperate for a job. If multiple physician recruiters give the same prospective employer your CV, they could assume that there is something wrong with your work history or certifications. You may think the more recruiters that are working for you, the better, however, it can lead to confusion and erode your decrease your leverage during negotiations. 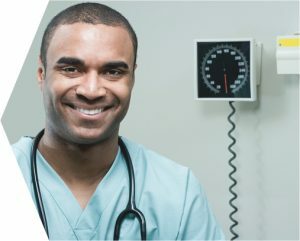 At Mission Search, we connect healthcare talent with opportunity through our proprietary Search Quest platform. This platform helps our candidates land more interviews and placements in less time, by personalizing the job search experience. To begin working with one of Mission Search’s physician recruitment specialists today, call (800)-410-2009.